From the hut it's straight into another 500 meter climb up a saddle. With my legs still a bit tired from yesterday not an easy affair, I reach the top one hour after leaving the hut nonetheless. From the saddle the track drops down to Arrow River, where I have two options: follow the river bed to Macetown or sidle above it. As the river level looks normal, I obviously go for the first option (especially as I heard some bad stories about the sidle track...). Wading is icy cold water is unpleasant. Within minutes my feet are numb. Still: far better than the sidling track which is following the river far above in very steep terrain. About half an hour into the wading, I can hear the unmistakable sound of an Ecureuil Helicopter. It's getting louder and louder and then it appears, flying low, a small trailer hanging beneath. 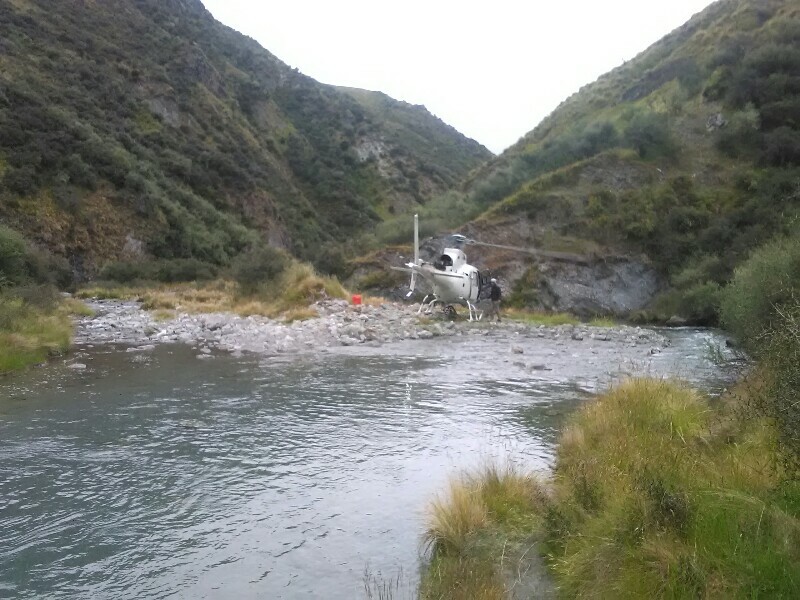 The helo initially drops the trailer before landing literally in front of me on a shingle bank, in the middle of nowhere. Now that's unexpected. Once having eye contact with the pilot, I continue wading through the river, giving the still rotating blades a wide berth. The pilot stows the rope, the trailer was hanging on, and takes-off again. Curious as I am, I ask the two people, who the helo dropped as well, what's in the trailer. With a unmistakable Swiss accent they tell me that they choppered in a suction pump, which they use for gold mining. I answer in Swiss German right away. No need to ask where they are from. They seem to be as surprised as me to meet a Swiss out here. As it turns out, it's a couple, who is coming here during summer for a few weeks to look for gold - since several years. That's so cool! We have a interesting long chat about gold mining before I continue hiking in the river. There are some gorged sections, the farther downstream I get however, the wider the valley and the easier the walking. The last kilometer to Macetown is even on a 4WD track. 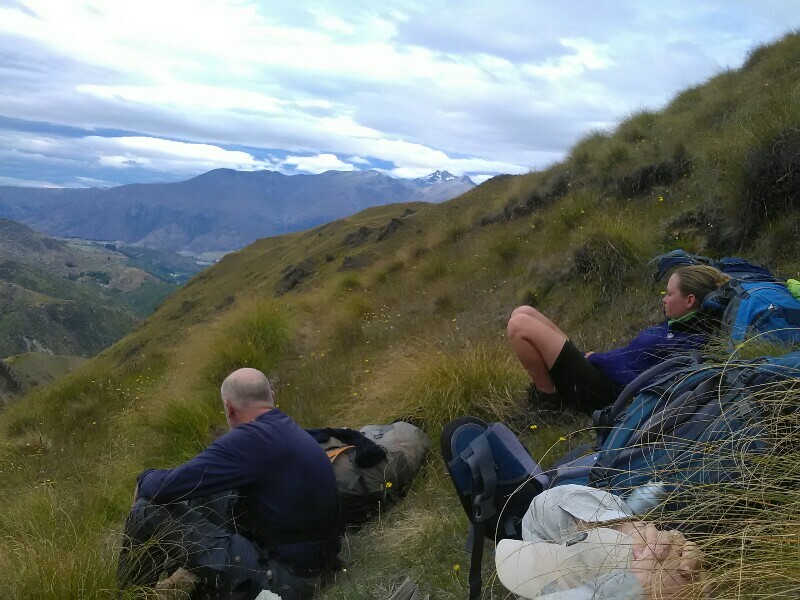 While having a short break in Macetown, Amy, Marc and Paul catch up and together we hike over the fifth and last Saddle to Arrowtown. Another nearly 500 meter climb on a grassy, unusually poorly marked track - we are struggling a bit and are all relieved when we reach the saddle. From here it's another amazing track down to Arrowtown. A track like the Autobahn. Wide, extremely well benched with great views and bush sections. What a nice end of the Motatapu Alpine Track. Arrowtown is pretty but super touristy village. As our ways will split tomorrow (Paul and Mark will catch a bus to Queenstown tomorrow and fly back to Oz on Monday), we have a Thai farewell dinner in town as we really had a good time together. 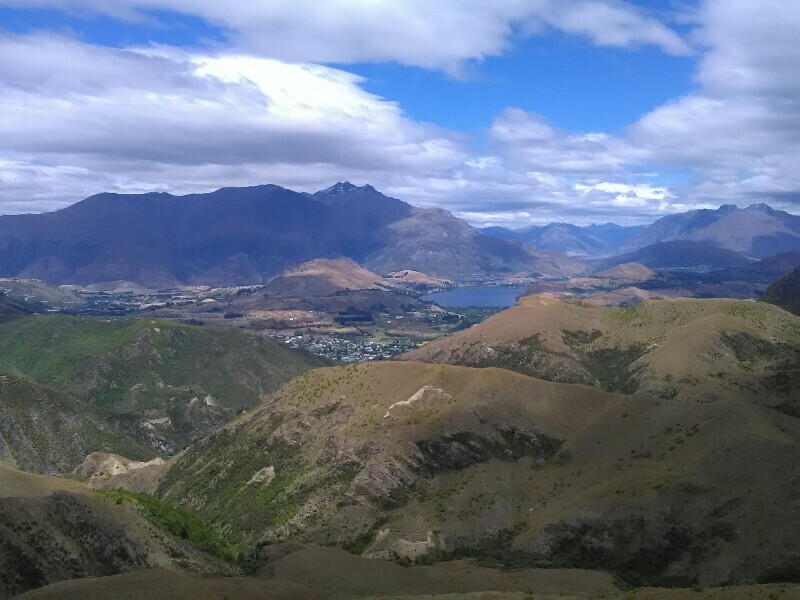 Amy and I will continue our hike to Queenstown tomorrow. After the two strenuous days on the Motatapu Track a welcome easy walk. 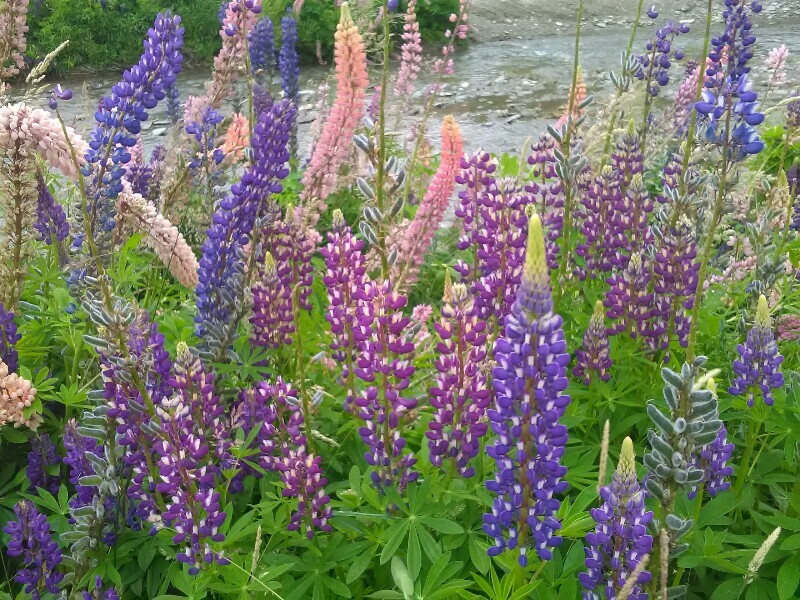 Yes this are nice flowers, called lupins, and they have beautyful colors. But not everybody loves them. But anyway there are people who like to go " Lupin-Spotting ". How interesting. But " Gold-Spotting " wouldn't be bad either:). Good luck.